Conservation easements are voluntary legal agreements that assist landowners in protecting their land. The agreement is between the grantor (landowner) and holder (conservation organizations, government agencies or rural municipalities). Landowners retain ownership of the land, while at the same time committing to conserve the natural integrity of the site by limiting the amount and type of development, however, haying and grazing are allowed. A CE is a legal document that is registered on the title and binds all future owners. It can only be removed by mutual consent of the parties if the conservation values are no longer met. Each CE is unique and the conditions placed on it are negotiable. Activities, not prohibited within the conditions, are allowed. Through the Court of Queen’s Bench, obligations may be enforced by the holder, the grantor or an eligible holder. The CE provides the holder access for inspection purposes but landowners still retain control of public access. The grantor may receive an income tax incentive on a donated CE or in some cases a payment for the value of the easement. The property owner will be assured that the property will remain in the natural state. Who is eligible to hold a CE in Saskatchewan? 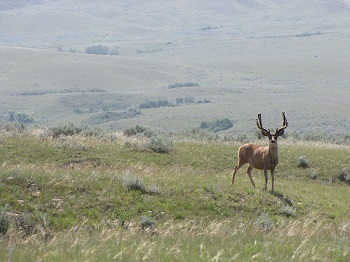 Nature Saskatchewan does not actively pursue the holding of conservation easements.